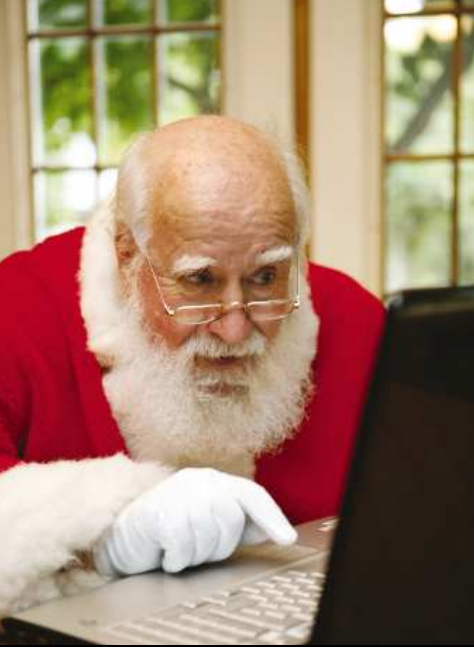 DON’T GO ONLINE ALONE ANYMORE…IT JUST IS NOT SAFE OUT THERE. NOW YOU CAN SURF WEBSITES SAFELY WITHOUT THE DREAD! This new technology is called: WEB OF TRUST…Download a simple app with Google Chrome or Mozilla FireFox web browsers and your worry about website safety is over. This includes hyperlinks within emails where you are TOLD not to CLICK. Now you can peek at the links before you click and you are also guided by a traffic light warning system. WOT protects YOU from phishing scams, SPAM, and other Internet scams online. This is a must have app (software application connected to your web browser). 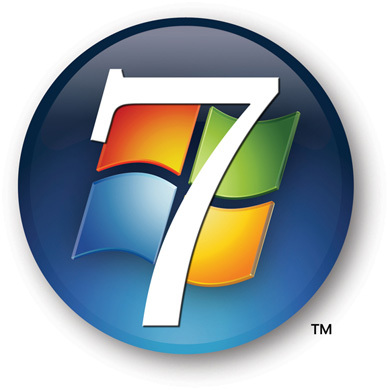 Yes all operating systems work with WOT: Windows Xp and later, Mac, and Linux. What more can you ask for? I personally use this program with Google Chrome and FireFox and have found it an excellent buddy to have looking over your online shoulder. You can never be too safe online and programs such as WOT are a must have these days. It is obvious that there is some heavy competition between Microsoft and Google in the online document market. About a year ago I wrote about the services offered by Google Docs (docs.google.com), which includes free online document creation and editing, along with online storage and collaboration. 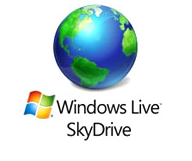 Microsoft has also been providing a somewhat similar service, originally with its Office Live Workspace (beta), but now with its enhanced and upgraded SkyDrive service, which is also free (explore.live.com/windows-live-skydrive). While the office components in Google Docs are generally compatible with Microsoft Office, Microsoft’s SkyDrive provides a free online version of Office. Since SkyDrive is online, it is accessible from anywhere there is an internet connection, and works with most browsers; I tried it on Firefox and Internet Explorer, and it worked flawlessly on both browsers. SkyDrive is platform independent, and works equally well on a PC and a MAC, or any other operating system with a compatible browser and internet access. Documents can be “collaborated” and edited or shared with others, even if the other users do not have Microsoft Office. Microsoft SkyDrive offers 25MB of free storage, an adequate if not generous amount of storage space for almost all users. SkyDrive requires registration, which is free; registered users of most other online Microsoft products, such as the other Microsoft Live services, Hotmail or Messenger can use their existing usernames and passwords on the SkyDrive service. One of the primary features is the “Office Web Apps for SkyDrive”, which includes online versions of Word, Excel, PowerPoint, and OneNote. Clicking on the “Office” link will open up the basic Office App page, where the desired application can be opened. The first window for all of the apps is very simple, where the user is asked to enter the name of the document. I started typing this column on the online Office Word App, and the screen was almost identical to the desktop version of Word. Anyone who can use Word, or another similar word processor, will find the online Word app familiar and easy to use; almost all of the features, commands, controls, and features of the desktop version are available in the free online version of Word. In terms of functionality, I could not find any significant differences between the web and desktop versions of Word. The user can choose to save the file on the SkyDrive servers (the default), print, and share the document. Under the “Share” option, others can be invited to view or edit the document, all under the control of the original user. As with Word, the online Excel App has the same look and feel as the desktop version of Excel. To open a new workbook, the clean opening screen asks the user for a file name, and then the workbook opens. Once data is entered, there is no “Save” button, as the Excel App continuously saves the workbook as it is produced. The user also has the option to “Save As” and save the workbook under another name. Unless explicitly downloaded to the computer, all of the workbooks are saved to the SkyDrive servers. Workbooks can be selectively shared with others, while the others can be granted access only to view the workbook, or edit it; this is the heart of online document collaboration. I frequently do PowerPoint presentations, and the SkyDrive PowerPoint app offers the ability to create, edit, store, and show a PowerPoint presentation from anywhere there is internet access. When opened, the PowerPoint app has the same look and feel of the desktop version, and uses the same command set. As with Excel, there is no “Save” button, as the presentations are automatically saved as they are created. One interesting feature is that when a PowerPoint presentation is shown (“View – Slide Show”) it opens in a browser pop-up window, so the user must allow browser pop-ups from the application in order for the slide show to be viewed. If connected to a projector, the output looks the same as if it was from a desktop version of PowerPoint. As with all of the other Office online apps, the user can choose to share the file with others, and selectively allow others to edit the file. Since Microsoft provides 25MB of free storage, SkyDrive is a practical place to store presentations; if for some reason the presentation must be shown from a computer lacking Office, the SkyDrive file can be shown, as long as there is internet access. Microsoft OneNote is hard to explain, but basically both the desktop and SkyDrive App versions are both note-taking utilities. OneNote can easily organize any notes that are taken, and would be useful in a classroom, organizational, or professional environment where notes are taken. OneNote looks like a simplified version of Word, but allows the user to “flag” important points, or quickly search for desired terms or phrases. OneNote can incorporate images, web pages, and video, and can itself be incorporated into Word or PowerPoint. A few of my students use OneNote to share class notes during my lectures, ensuring that each of them has a comprehensive set of notes for test reviews. As with the other Office apps, it can be selectively shared with and edited by others. As with some of the other apps, there is no “Save” button as the information is saved to SkyDrive in real-time. I have several students who do not have Microsoft Office on their personal computers, but need to be able to access Word, Excel, PowerPoint, and OneNote; SkyDrive is a free alternative to Microsoft Office, provided that the student has internet access. For the frequent times when several of us must work together (there is that “collaboration” term again) on an Office file, SkyDrive could be the appropriate utility that we could all share, giving us secure and controlled access to our files. For those who have the desktop version of Office 2010, there is a direct and transparent online connection with SkyDrive, allowing files to be saved on SkyDrive directly from the desktop Office. The SkyDrive files can be selectively shared with anyone on Facebook, MySpace, LinkedIn, AOL Mail, Hyves, Gmail, Outlook, other Windows Live users, and anyone else with an email address. For security and privacy reasons, access is limited to only those authorized by the user, and that degree of access is also under the control of the original user. I found SkyDrive and its Office Apps to be every bit as useful as their desktop counterparts, with the bonus of secure online storage of files. Some of us have used SkyDrive and its apps to work together on producing Word documents and PowerPoint presentations, without the need to physically swap files between us. SkyDrive and its Office Apps would be very worthwhile for any computer user with internet access.